Back in 1932, just a few months following the official formation of the Honolulu Police Department, a handful of dedicated officers realized that there was a critical need to acquire some form of life insurance to provide financial support for their families in the event of an untimely death. 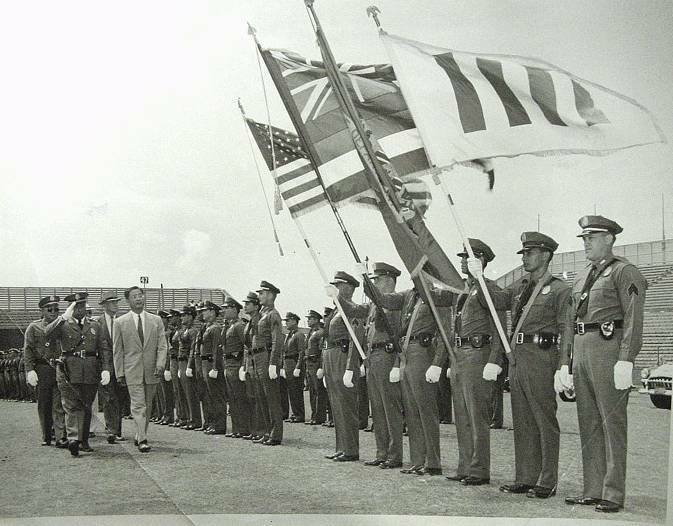 So on October 11, 1932, HPD officers William Hoopai, En You Kau, George M Farr, J.N. McIntosh, and Hans K. Kashiwabara submitted an application to the Office of the Treasurer, Territory of Hawaii, for a Charter of Incorporation under the name of the Honolulu Police Relief Association. That was more than 85 years ago! The foresight, hard work, and perseverance of those pioneers resulted in affordable life insurance for our officers (and later civilian employees) throughout the years. HPRA still provides life insurance for our members (up to $320,000 coverage) at a special group rate, a $500 death benefit, and gift basket distribution for hospitalized members. The presentation of the Top Shooter award at each recruit class graduation has become a tradition for over 45 years. The Directors of the current HPRA Board, along with member volunteers, continue their work to perpetuate this support mechanism for our HPD `ohana. The HPRA is not a dues driven organization. Our members do not pay to belong to the HPRA. Funds to support our mission are realized through the sale of HPD logo items. We invite you to browse through our inventory on-line or in person at our store. All proceeds from your purchase provide benefits to our members. Please support our Honolulu Police Department employees by making a purchase today! Board members are elected by the HPRA membership and serve a three-year term. The Directors volunteer their time and commit their efforts to uphold the HPRA’s motto of providing support to its members and to foster the spirit of ‘ohana. Robert Imoto was elected as an HPRA Director in 1990 and has served as President for the past nine years. He is a 38-year veteran of the Honolulu Police Department, retiring as a Captain after spending time in Patrol, Traffic Enforcement, Training, Community Policing, Community Affairs, and the Office of the Chief. Bobby had the honor of being the supervisor for seven recruit classes spanning from 1986 to 1998 and created the department’s Maka`i Video Production section. His continued involvement in the HPRA is fueled by his desire to perpetuate the vision of its founders when they created the organization in 1932 through its mission of supporting the employees and retirees of the Honolulu Police Department. 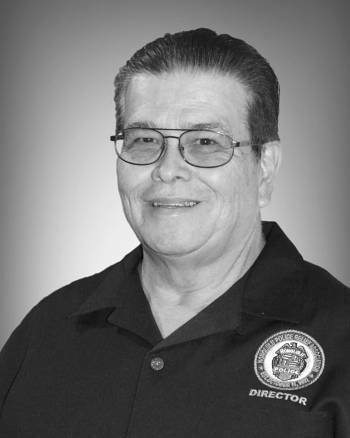 Robert Cravalho joined the Honolulu Police Department in 1981 and served in the various patrol districts, the Criminal Investigation Division, the Communications Division, the Professional Standards Office and the Community Affairs Division. He retired as a lieutenant in 2012 and is currently employed with the National Football League as their Security Representative in the State of Hawaii. 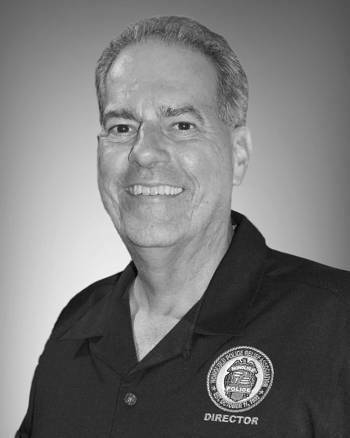 Robert has a Master’s Degree in Public Administration from the University of Hawai`i at Mano`a and is a graduate of the FBI National Academy. He believes his service to the HPRA provides him an opportunity to give back to the members. William Clark served with HPD for 34 years, retiring as Deputy Chief in 1999. In 1993, he was named as the City and County of Honolulu’s City Manager of the Year for his pioneering efforts in community policing. 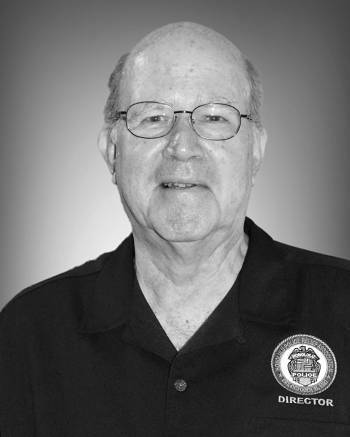 Bill graduated from Chaminade University of Honolulu with a Bachelor’s and Master’s Degree in Business Administration. He lives in Aiea with his wife Joanne and together they have a blended family of seven children and 12 grandchildren. Bill believes it is an honor to be an HPRA Director because it keeps him in touch with the HPD and allows him to serve the HPD Ohana. 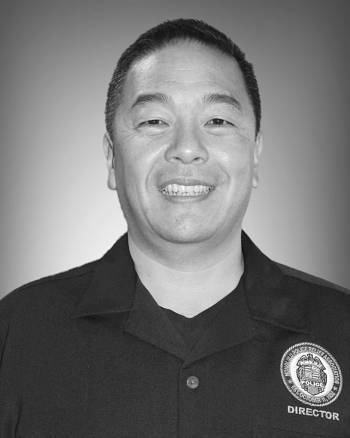 Bradon Ogata joined the Honolulu Police Department in 2000 and has been assigned to the Central Receiving Division, Training Division, Office of Accreditation, District 1 & 7, the Human Resources Division, the Criminal Investigation Division and the Major Events Division. He is currently a captain assigned as the police department’s Civil Defense Coordinator. Bradon enjoys spending time with family and appreciates any opportunity to help others. HPRA has supported members and their families for many years and he is pleased to be part of that continued effort. James (Kimo) Smith has 34 years with the Honolulu Police Department and was promoted to the rank of Sergeant in 2001, assigned as the District 4 Crime Reduction Unit (CRU) Supervisor since 2009. He earned an Associate of Police Science Degree from Honolulu Community College and continues attending trainings and conferences. 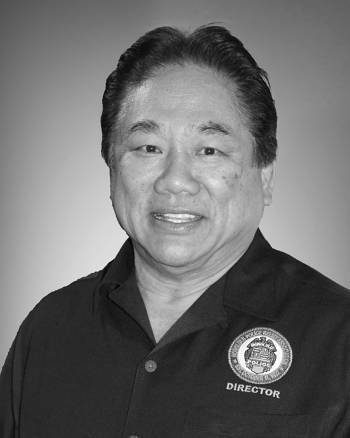 He has also been serving on the State of Hawaii Organization of Police Officers (SHOPO) Board of Directors for over 32 years, currently as it’s State Treasurer. 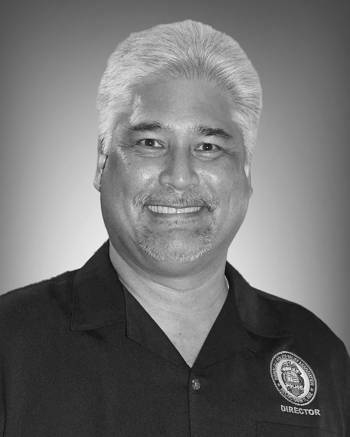 Kimo was elected to the HPRA Board in 2007 and continues to serve as a Director living by the motto of “Being the Police Officers, Police Officer”. Sean Naito joined the Honolulu Police Department in 1989 and is currently an Assistant Chief assigned to the Central Patrol Bureau. His previous assignments have included the Human Resources Division, the Communications Division, Criminal Intelligence Unit, Criminal Investigation Division, Training Division, Narcotics/Vice Division, and Districts 1, 6, and 8 patrol divisions. Sean earned his Bachelor of Science Degree from Wayland Baptist University and is a graduate of the FBI National Academy. He serves as an adjunct professor at the Honolulu Community College teaching Administration of Justice courses. 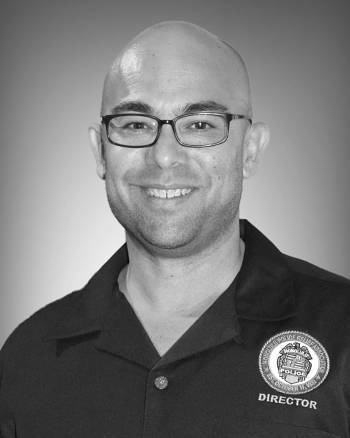 Sean is committed to the mission of the Honolulu Police Relief Association and enjoys serving the members. Mike Tamashiro served with HPD for 35 years working in various divisions throughout his career and retired as Assistant Chief in 2009. He received his Bachelor’s Degree from the University of Hawaii, is a graduate of the FBI National Academy, and attended the John F. Kennedy School of Government at Harvard University. Mike was elected to HPRA in 1994, has served in various positions, and truly believes in the mission of the HPRA by providing his time and expertise to the association. 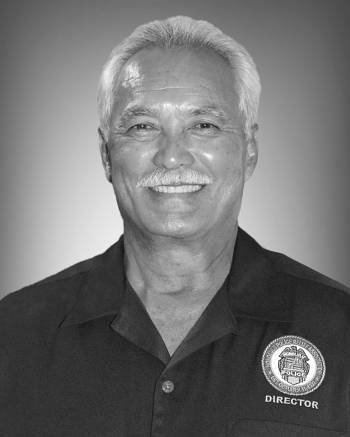 Charles DuBoyce joined the Honolulu Police Department in 1971 and served most of his career in District 3 before retiring as a sergeant in 1996. Charles then focused his time on his woodworking business while working at the Daniel K Inouye International Airport as a Law Enforcement Officer and later as a Screening Manager for the Department of Homeland Security, Transportation Security Administration (TSA). After leaving the TSA, Charles devoted his time managing his private security agency. He also contributes his talents for the heroes that continue to serve our community by serving as a board of director for the Honolulu Police Relief Association.